Below you can view all the homes for sale in the Grant Park subdivision located in Atlanta Georgia. Listings in Grant Park are updated daily from data we receive from the Atlanta multiple listing service. To learn more about any of these homes or to receive custom notifications when a new property is listed for sale in Grant Park, give us a call at 404-998-4063. Only 3 Blocks From Park And A Short Walk To All Commercial Development Makes This The Absolute Ideal Location. MLS#6539632. Adams Realtors. All With The Bonus Of Permanant Stairs To A Full Attic For And Outdoor Shed For Plenty Of Additional Storage. MLS#6539549. Adams Realtors. 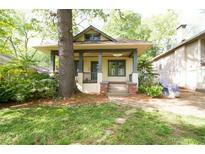 Close To Grant Park, Zooatlanta, Eav, & The Beltline'S South Loop. MLS#6538096. Keller Williams Realty Metro Atl. 2 Car Garage + Fenced Back Yard. Home Like New! MLS#6537619. Berkshire Hathaway Homeservices Georgia Properties. The Home Offers New Hvac, New Water Heater, New Windows, High Ceiling, Hardwoods, Walk In Closet, Large Master Bedroom W/Sitting Area, Front Porch, And A Large Back Deck With A Great View. Must See! MLS#6536382. Maximum One Greater Atlanta Realtors. Steps To Grant Park, Zoo And Grant Park Coffee! MLS#6535861. Coldwell Banker Residential Brokerage. A Fully Fenced Yard And Private Level Backyard. MLS#6535724. Adams Realtors. 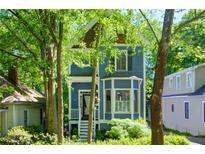 Only A Stone'S Throw To Cabbagetown, Atlanta Dairies, Shopping, Restaurants, Beltline And More! MLS#6536098. Redfin Corporation. Ideally Stationed Three Blocks From Grant Park. MLS#6535058. Keller Williams Realty Intown Atl. Updated Kitchen Cabinets With Granite And Stainless Appliances. Perfect Opportunity For Intown Living! MLS#6535171. Era Atlantic Realty. Open Alley In Back Provides For More Off-Street Parking Potential! MLS#6534366. Keller Williams Realty Intown Atl. Short Drive To I-20 And I-75/85 And Close To Marta. Property Sold As-Is. MLS#6534225. Virtual Properties Realty.Com. (Pls Independently Verify Statements Made Herein.) MLS#6532659. Keller Knapp, Inc..
Rare Opportunity, Don'T Let It Slip By! MLS#6533424. Compass. Walk In Closet In Master Bedroom. Must See! ! MLS#6532401. Southern Classic Realtors. You Will Love Living In This Beautiful, Roomy House! MLS#6531078. Re/Max Metro Atlanta Cityside. Kitchen W/Silestone Capri Limestone Countertops & Nickel Bcksplsh, Travertine Marble Floors, Stainless Steel Appliances, Water Filtration Systm, & Oversized Bfast Room W/Vaulted Ceilings! 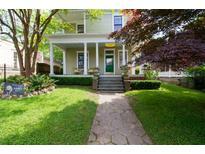 MLS#6530337. Keller Williams Realty Intown Atl. With Large Kitchen That Includes All The Bells And Whistles, Hardwood Flooring Throughout The Main Level, Stairs, Landing And Master, Super Master Has A Private Balcony, Wic And Spa Like En-Suite, J&J Bath W/Separate Vanity Rooms, Rocking Chair Front Porch, Back Deck And Fenced In Yard & Security System Make This Serious Bang For The Buck In A Super Neighborhood. Tier 1 Grant Park Charter!! ! MLS#6530751. Exp Realty, Llc..
Detached 1 Car Garage & Second Parking Spot. MLS#6529353. Ansley Atlanta Real Estate, Llc. Walk To Zoo Atlanta, Grant Park, Marta, And Spend Your Weekends At The Grant Park Farmer'S Market, Tin Lizzy'S, Six Feet Under, Republic Social House And The Shops And Restaurants At The Beacon. MLS#6528607. Keller Williams Rlty-Ptree Rd. Blocks Away From Grant Park, Atlanta Zoo, The Beacon, Larkin, Sunday Farmer'S Market And The New Summerhill Development Including Little Tart Bakeshop, Wood Chapels Bbq, Junior'S Pizza, Little Bear, Halfway Crooks Brewery And More… MLS#6524904. Atlanta Fine Homes Sothebys International. Close To Zoo Atlanta, Grant Park, The Beacon And Other Local Restaurants, Shops And Attractions. MLS#6524296. Atlanta Intown Real Estate Services. Off Street Parking. Fully Fenced Yard. Must See! MLS#6523517. Keller Williams Realty Metro Atl. Enjoy The 131 Acre Park As Your Personal Greenspace W/ Close Proximity To Beltline. Atlanta Neighborhood Charter School. MLS#6522682. Atlanta Fine Homes Sothebys Intl..